Incense burner has been widely known as an ancient practice that is found in the schools of Buddhism. This is typically associated with religious, culture, norm and practice within which requires a higher degree of respect. Basically, the use of incense burner would take us back to the beginning of human history where it is frequently mentioned in scriptures during the Canon era and to the life of Buddha. Along with incense burner, there are flowers, foods, drinks, and garments that are offered in an altar as a sign of respect and honor. Incense has been thought to cleanse the space may it be done in your own personal room or in a mediation hall. Most often than it is usually done in the latter with other people who worships and adore their god as part of their rituals. Also, this incense burner has its own symbolic meaning as part of religious belief; where the three sticks that is burned together would signify three important treasures, namely; the Buddha, the Dharma, and the Sangha. Ideally, the most common incense burner that has been widely used is the stick incense and the loose incense. The former is typically used in a Buddhist temple; this has another classification of incense; first, it is the coreless incense which is burned completely upon hitting a fire; second, bamboo core that is ordinarily used by in general. On the other hand the loose incense is used by simply dropping some grains of incense in a hot charcoal. In Buddhism, showing respect and honor to Buddha is being done in an altar and offering of an incense. Commonly, it is done by lighting the candles first and you light the incense from the candle. In its standard practice, you make a bow to Buddha with palms together and light one end of the incense. Whenever you are done with your rituals, the incense’s unlit end is planted in an incense bowl which is filled with incense ashes that has been accumulated over the years. You can encounter this loose incense in a temple where you can basically see them in front of a box that is filled with ashes and contains a piece of burning charcoal. To make an offering through this; you bow down with palms together; in palms together position you may use your right hand by taking a pinch of looses incense, touch the incense into your forehead and drop the pellets into the burning charcoal. After which, fragrant smoke will vapor, make sure to make a bow again before leaving. Note that there are ash catchers or boat incense burner that is already displayed in the general market. 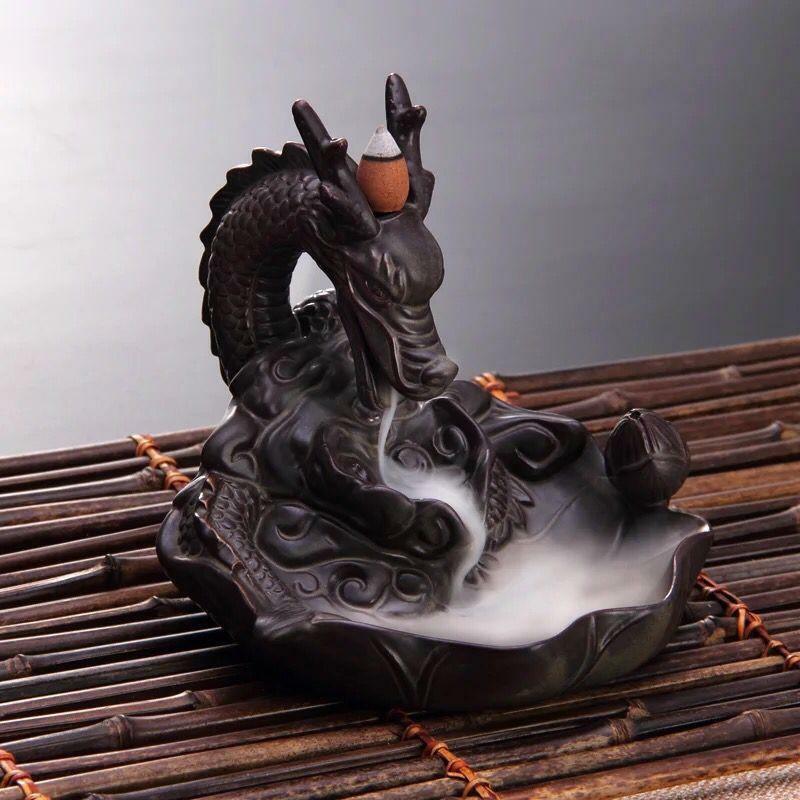 Basically, you may choose an incense burner depending on your personal choice and taste. After all, these incense burners are being used in one main purpose which is to offer your highest degree of respect and honor to your god. This is a sign of how you value your religion, culture and practice.